Hyundai Eon, the entry level South Korean hatch, has gained overnight fame with its impressive features and a decent engine. The car was launched just a couple of years back in 2011 and has not received any major updates yet, which shows the futuristic approach of the manufacturer while creating this hatch. Though Hyundai has been unable to capture a spot on the list of top 5 automakers in the Philippines as per the latest report but that doesn’t make it any less. With a sumptuous fleet addressing customers with varied choices and needs, Hyundai has a big fan following. 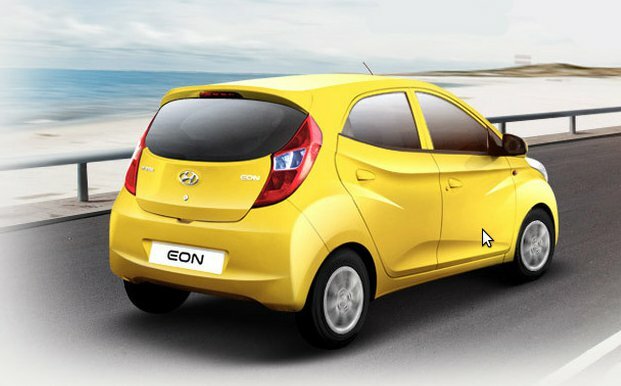 Talking about Eon, this compact city hatch is carrying the legacy of the South Korean brand with pride and contributing its bit in enhancing the sales. Hyundai Eon is an entry level hatch and is meant to be driven within the city. This compact drive comes with an engine with 814 cc of displacement with Euro 4 carbon emission compliance. For Filipinos, 0.8 GLX 5M/T trim is available by the manufacturer with its sole power-unit, churns out 56 PS of maximum power at 5500 rpm along with 76 Nm of maximum torque at 4000 rpm. This 3 cylinder in-line is mated with a 5-speed manual gearshift for the desired efficiency. Surely this is one drive which you would like to use for your daily commutation and the manufacturer has ensured that you don’t have to stop at every gas station. The average fuel consumption observed in this drive counts to 20.8 kmpl in standard conditions. 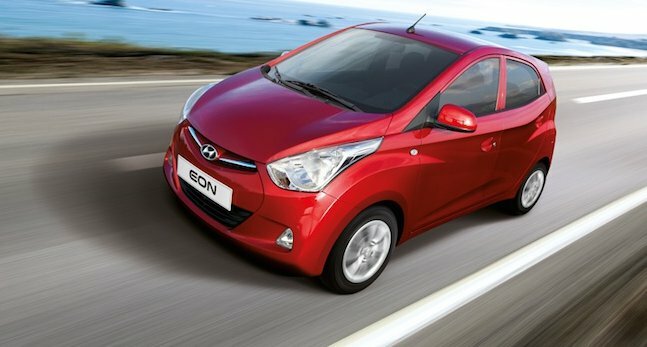 Hyundai Eon has been gifted with a sporty exterior, especially to attract the youth. Probably this is the reason which motivated the South Korean brand to bring a color palette which comprises of vibrant as well as soothing colors. You get a choice to choose from Midas Gold, Mystic Blue, Polar White, Phantom Black, Pristine Blue, Red Passion, Sleek Silver and Star Dust. The upper radiator grille is kept narrow with Hyundai insignia in the center while the lower grille in the trapezoidal frame is all black with slats for smooth airflow. The entire structure has crisp creases to ensure enough sportiness. There is a rear spoiler with LED stop lamp for safe braking and enhanced efficiency in aerodynamics. For convenient city maneuvering even in cramped city streets, the structure has been kept compact measuring to 3495 mm x 1550 mm x 1500 mm (L X W X H) along with wheelbase measuring to 2380 mm. Surely this drive is not meant for off-roading or to be taken on the tracks for races. But then, this hatch has got all that which can make your traveling much convenient and comfortable even if you are taking it on rough roads, you need a good suspension system. Hyundai has been considerate enough to offer one in this entry level hatch. You get McPherson strut front suspension and torsion beam axle rear suspension which coordinate well and absorb the jerks of potholed roads so that you may not feel any of them. The oil type shock absorber again is one thing which works towards delivering smooth drives to you irrespective of the terrain type. The humble engine of this Hyundai hatch is, however, a little noisy for the cabin on higher revs but then if you are not accelerating it like a sports car, it won’t bother you. 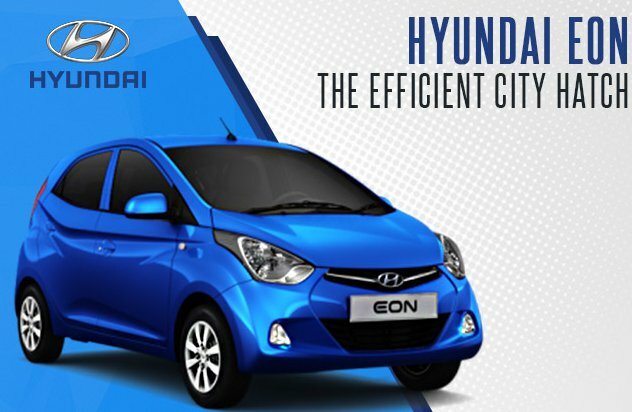 Cabin comfort is among the most important factors in any drive and so to offer you the best of it, Hyundai has packed a wide range of features in its Eon. Though this is an entry-level car but still the manufacturer has given it aspects which can make your drives convenient and fun in it. The all black interior trim adds sportiness to it while the generous amount of chrome used on the dash, steering, and entertainment facility gives it an upper-class appeal. The ergonomically placed seats are wrapped with fabric upholstery for more cabin space. Also, there are features like front power windows, manual air conditioning facility and headrests for the front seats. With this, the manufacturer has employed a decent entertainment facility comprising CD player, MP3, and AUX compatibility. You also get decent boot space worth 215 VDA along with numerous cabin storages in the form of cup holders, glove box, door pockets and dashboard upper tray. Safety has been always a vital feature for the South Korean brand and to ensure the best of protection onboard, this hatch has been packed with decent aspects. There are side beam impacts which can absorb the impact energy protecting the occupants in crucial times. Also, the square-shaped radiator support and reinforcement on the floor panels strengthen the structure to counter the impact energy. High mount stop lamp is also given at the spoiler for added protection. 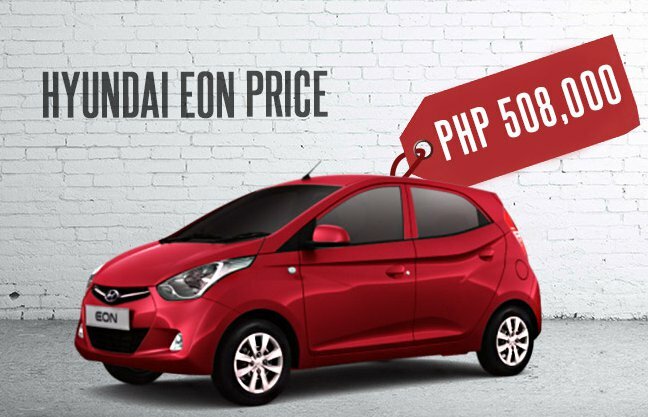 Hyundai Eon can be owned at PhP 508,000 which is comparatively on the higher side. Eon fights with Toyota Wigo and Chevrolet Spark and Wigo’s base variant is slightly cheaper than Eon that might create some sort of hindrance in its sales in the particular segment.